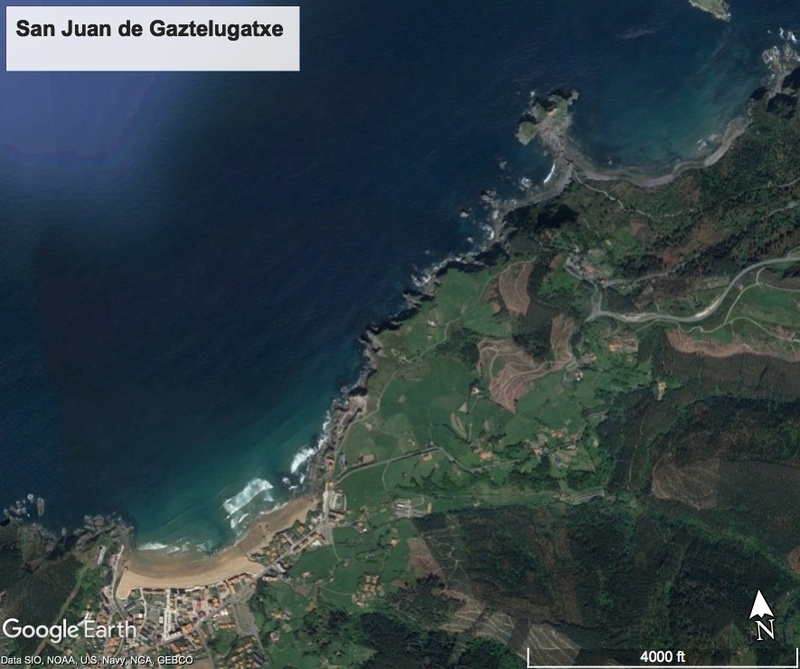 Gure Esku Dago is an effort to provide the Basque Country the right to decide its own future. The goal is to hold a referendum on independence. A signature hallmark of the movement is the long human chains that have extended across Euskadi to promote the goals of Gure Esku Dago. This website provides a video, in English, describing the goals of Gure Esku Dago and their plan of action. Another video can be found here, on YouTube. 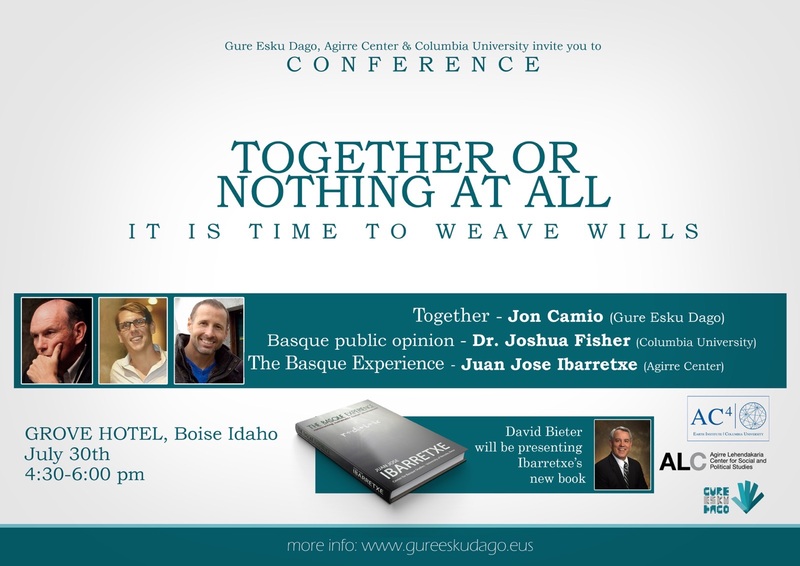 On July 30th, from 4:30-6:00pm, at the Grove Hotel in Boise, there will be a talk about Gure Esku Dago and Basque public opinion. There will also be a presentation on former Lehendakari Juan Jose Ibarretxe’s new book The Basque Experience. The talk will discuss Gure Esku Dago and the motivation of the movement. If you’re going to be in Boise for Jaialdi on July 30, a great way to spend the afternoon would be to attend this presentation. Details are below. It is very hopeful! I will follow the progress eagerly! thank you for bringing it all to my IPad. I feel part of it now.